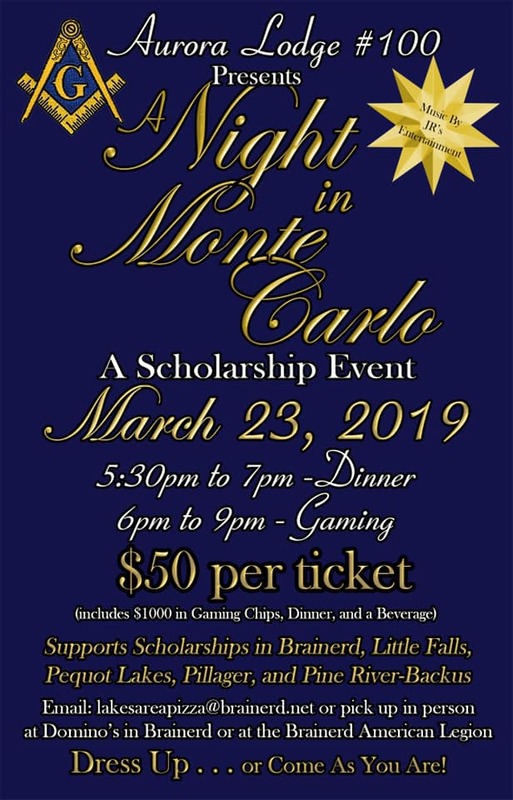 Our scholarship event will be held on Saturday March 23rd at the Brainerd American Legion. Dinner will be from 5:30 to 7 pm. Gaming will run from 6pm to 9 pm. Music provided by JR’s Entertainment and Services. Come out and support our scholarship fund!